This year however, the volume seems to have been amplified as people still come to terms with paying £9,000 per year for undergraduate courses in many UK universities. Young people are also taking note of the financial climate along with the jobs market, both of which continue to fluctuate as the country continues to face more economic uncertainty. All of this was summarised in an article in the Sunday Times entitled Off to the University of Life, which showcased several young achievers who’d turned down a degree in pursuit of a clever alternative. It’s worth mentioning that most of them cited financial worries as a contributing factor to their decision. In the article, it speaks about a generation of school leavers weighing up their career options differently and distancing themselves from the social norms that had once governed people’s decision-making when leaving the security blanket of secondary education. Isabel Tennant, a straight A* student who plans to teach and act, didn’t take the Oxbridge route because she wants to taste employment and sample life in the big city. Paula Murnin, who fretted about tuition fees and the prospect of unemployment, took inspiration from Sir Alan Sugar’s entrepreneurial spirit to become an apprentice at a professional services firm. Other case studies include Harry Slade, the recipient of top A-levels, who is taking to the seas as part of a maritime training programme in the hope of becoming a skipper, and Lalika Josephs, who refused a place at the London School of Economics in favour of auditor KPMG’s school-leavers scheme. These people demonstrate the adaptability of a generation growing up in a world very different from the one their parents and even their older siblings grew up in. They also demonstrate what happens when young people have choice available to them for pursuing alternative progression paths leading to a career of their choice. What it doesn’t demonstrate however, is the full range of alternatives available, like study abroad options. International study: the forgotten alternative? In our increasingly interconnected world and global economy, the opportunity to study abroad has never been easier and more accessible. It provides another great opportunity to break out of the monotonous routine of progressing to domestic higher education, yet few seem to be listing it as a viable alternative. Even David Willetts, the universities minister, identified the growing number of young people seeking employment opportunities and vocational training, but failed to mention international study, even though the coalition are actively supporting the export of our higher education models overseas. “Apprenticeships, further education, internships, and work can all lead to a rewarding career and you can always come back to higher education later in life,” he said. So why do some overlook international study as a viable alternative to domestic higher education? Giles points to a lack of information from his college and not knowing where to look for potential study environments beyond the UK as leading factors to why international study was never an option for him. There are thousands more like Giles who might be seeking global education opportunities but have had little exposure to them. In fact, research by leading student website, The Student Room, revealed that 72 per cent of university applicants in the UK would contemplate studying abroad and yet 86 per cent feel badly informed about the alternative route. There are also myths surrounding international study that prevent student migration that need to be addressed, and more importantly, publicised. Ironically, it’s the same issues that deter students from seeking higher education opportunities in the UK that also discourage them from seeking the same opportunities abroad. For those worried about the financial impact of international study, in many countries – including those in the European Union – UK students pay no fees at all. Norway, Sweden, Iceland and Finland offer undergraduate degrees for free, while costs in France and Germany run into the few hundreds of pounds, and slightly higher in Dutch institutions but still remain comparatively low. The price of living is often lower as well and exchange rates can be particularly favourable for those leaving the UK to study in the EU. Away from the financial aspects of international study, one might also fret at prolonging career plans for undergraduate study lasting up to three years. However, professional benefits usually outweigh these factors once a graduate seeks employment. 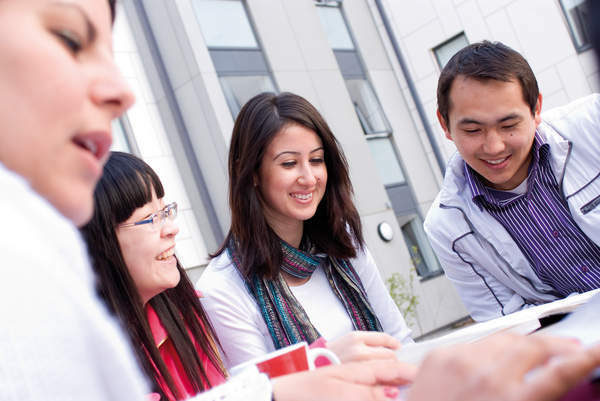 Intercultural experience will also help students work with colleagues from other nations and internationalise their CVs, making them more attractive for employment. Simply learning about another language or culture can also have a profound effect on an individual and because students experience different learning styles and methods of teaching, they engage in ground work and problem-based learning better than those who’ve surrounded themselves in a predominantly English-speaking learning environment. Many students are familiar with the more traditional, long-term study abroad models, but as short-term programmes gain popularity, what are the options available? There are international programmes available that give students the chance to study anywhere between 4-12 weeks and join a truly international cohort to experience a programme of excursions and learn a new language. Some courses also offer the opportunity to learn about working in international environments through a series of masterclasses delivered by employers. 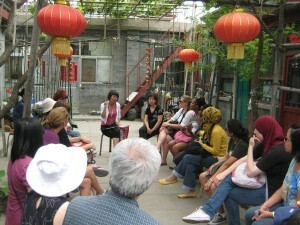 INTO China, which is suitable for students aged 16 years and above, have a variety of Chinese language summer programmes, which allow students to experience Chinese life through a range of social and cultural activities in addition to more than 50 hours of learning how to read, write and speak Chinese. Through partnering with some of China’s top educational institutions, INTO China, and programmes like it, give students short-term access to excellent teaching facilities, modern accommodation and beautiful campuses – all of which add value to a student’s CV. 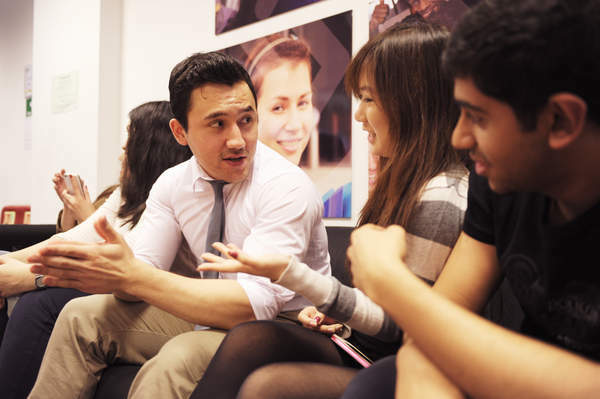 Employers are interested in seeing international education experience, and gaining international skills and knowledge can make students more attractive in getting a job and more productive once they’re in employment. The intellectual development of students going through international study is also a valued outcome. Looking at things from a different angle often allows for new insights and brings about new discoveries. And what better way to look at your academic field from an alternative perspective than by studying it overseas? We do, however, need to dispel any myths around international study that might exist among young people – with finance sitting at the top of that list. With the increase in tuition fees in England and Wales, taking a degree abroad can actually work out cheaper than staying in the UK, once living costs are taken into account.